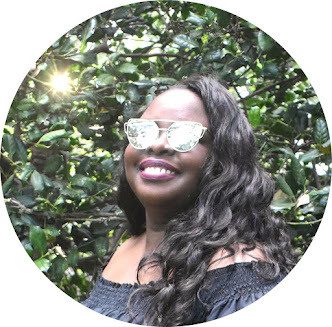 I'm loving all things pineapple themed at the moment, as an ode to my love for pineapples I picked some of my favorite pineapple accessories, homeware, beauty products, fashion items that make my heart sing. 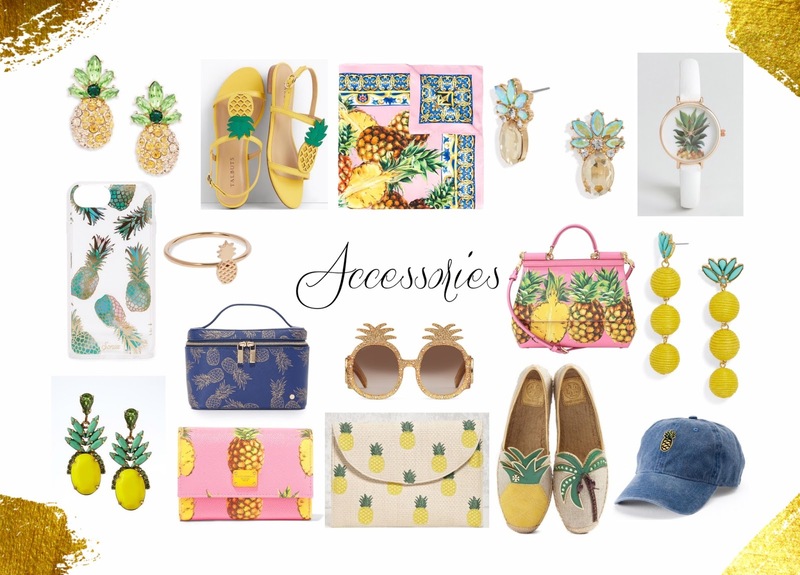 I'm loving these pineapple themed accessories. I'm obsessed with the Dolce & Gabbana handbag and matching wallet. 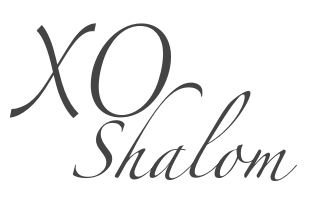 The pineapple jewelry and shoes are so cute! 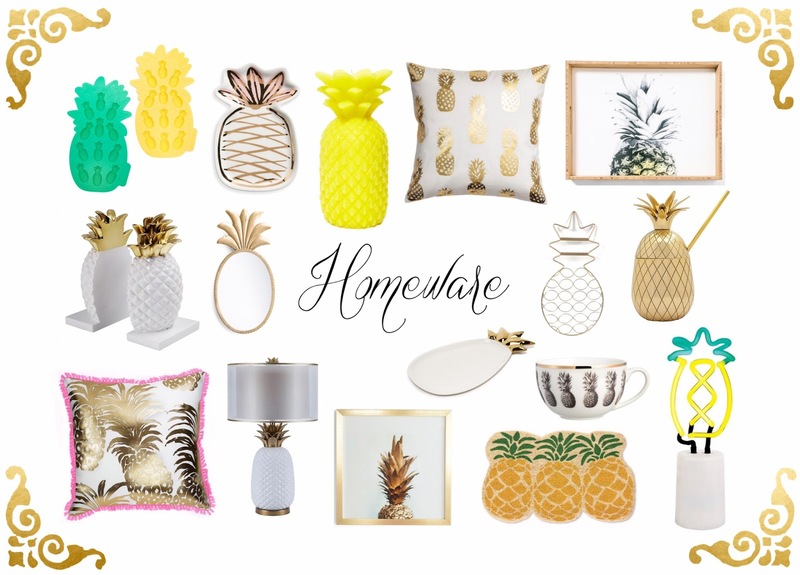 Of all the pineapple themed categories, homeware has to be my favorite. I'm obsessed with the pineapple shaped ice tray and mirror. The pineapple bookends, pillows, and serving tray are the perfect additions for spring|summer decor. 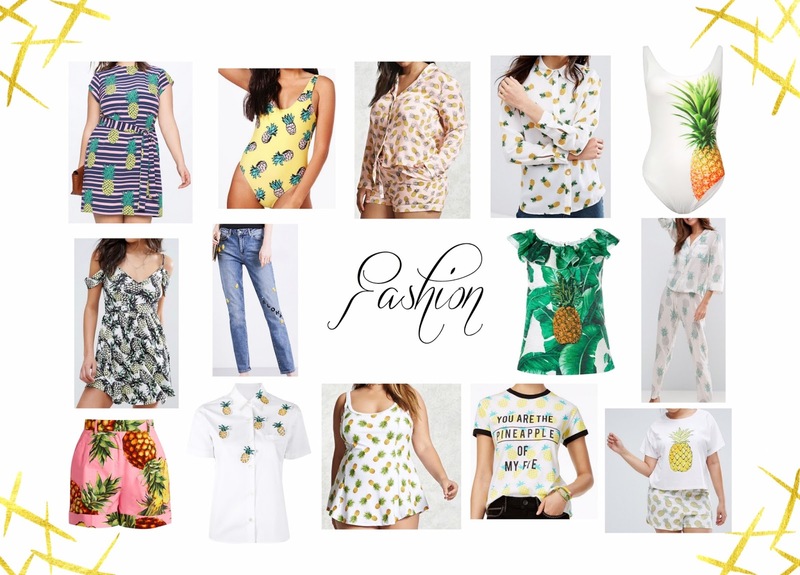 The pineapple pajamas from ASOS and Forever 21 are my favorite fashion items from this category. 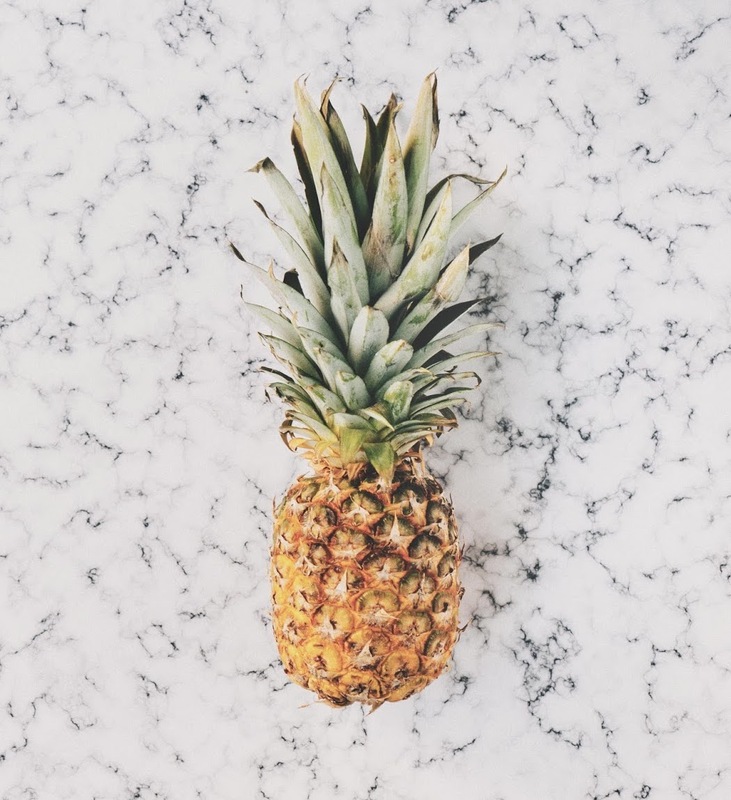 The pineapple swimsuits are perfect companion pieces for any tropical vacation. 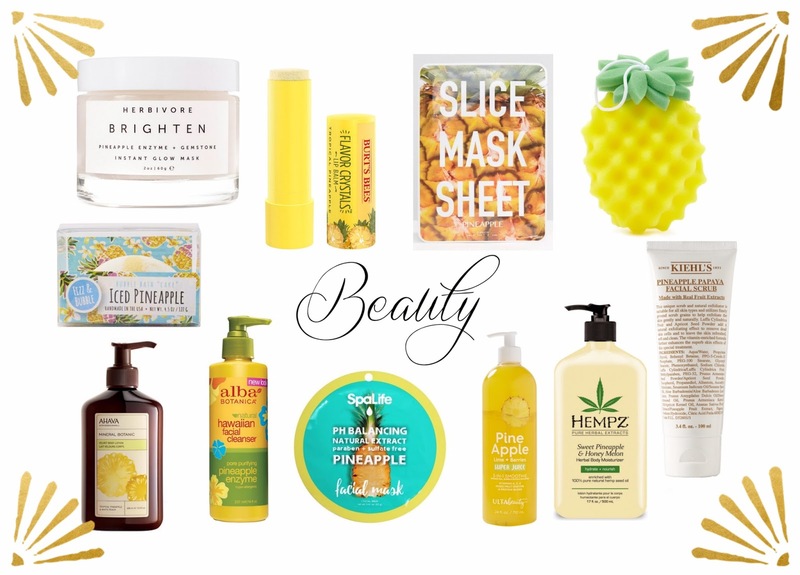 I'm also loving pineapple scented beauty products, the Burt's Bees lip balm and the slice sheet mask are my absolute favorites from this category.